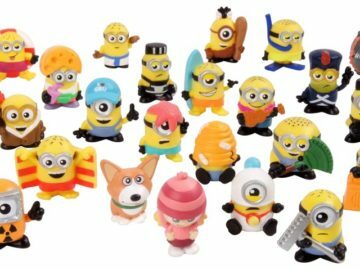 Your source for up to the minute news in the Toy Universe! 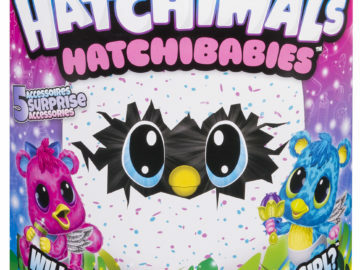 HatchiBabies are here! Will yours be a boy or girl? 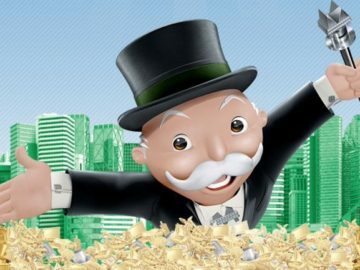 Let’s face it, we all know that one person who refused to play Monopoly unless they were the banker, and then they would mysteriously have tons of extra cash half way through the game. 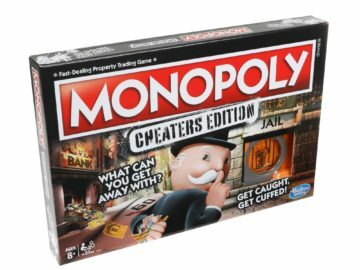 The folks at Hasbro Gaming have found a solution in Monopoly: Cheaters Edition! Save the Thimble! – Vote now for your favorite Monopoly Tokens in Token Madness! 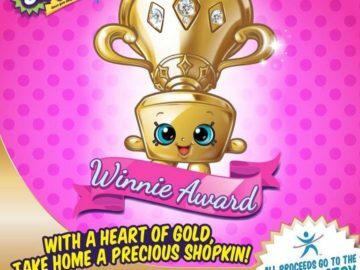 Jazwares, a leader in licensed products, has been named as the master toy licensee for Halfbrick Studio’s hit app Fruit Ninja. Coming this fall from Hasbro, Monopoly and Battleship LIVE! Two new board games with built in Artificial Intelligence that allow anything to happen! Copyright 2010-2018 Toyologist. All Rights Reserved. No part of this site may be copied without written permission.